Tailgates! Let's put a wrap on the back of that! 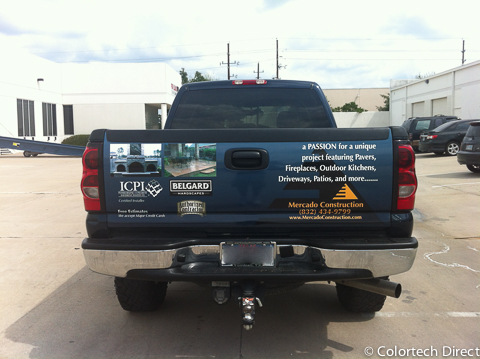 Take advantage of the mobile billboard on the back of your truck with a cost efficient and quick install tailgate wrap. 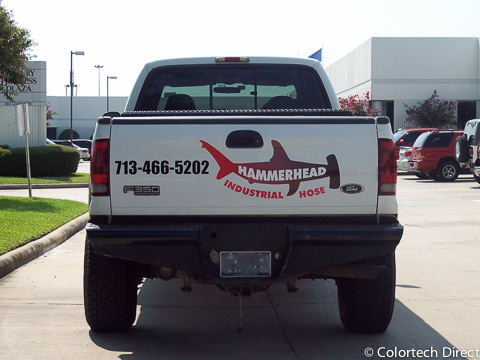 Your logo and phone number will be eye level with drivers or passersby. Finally, a plus side to traffic! 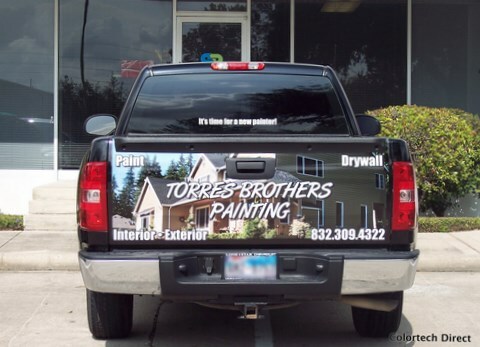 Less is more with a tailgate and a proper design by our in-house team will make sure to get the most effective results! 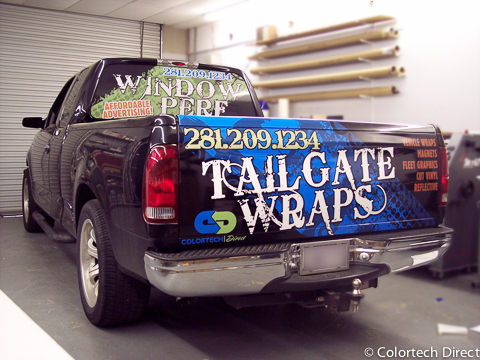 Full tailgate wrap with additional vinyl lettering in reflective vinyl. 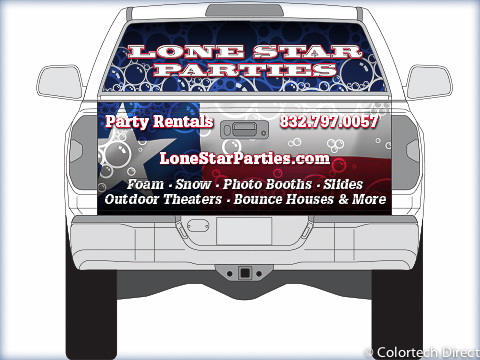 Large tailgate graphics and vinyl lettering. Full coverage tailgate with reflective vinyl. Full coverage tailgate and perforated view through window film.